Here we have a carded translucent orange Time Traveler. 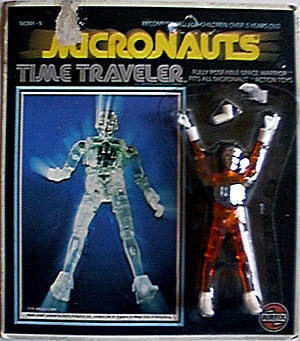 Time Travelers are perhaps the easiest figures to come by carded. This one is a bit different though; it is an Airfix Time Traveler and came all the way from England. The only real difference, besides some copy rewording here and there, is the Airfix logo at the bottom right corner on the front of the card. 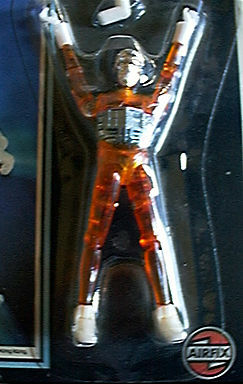 For a detail shot of the figure and logo, click here.